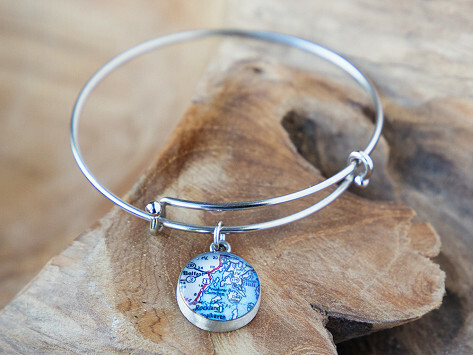 Customizable nautical chart and map jewelry handcrafted in Portland, Maine. Carry the memory of a special place at only an arm's length away. Dimensions: 0.75" x 0.75" x 0.35"